I rode to the edge of the Grand Canyon in a stock Kawasaki Teryx back in 2008 with a great friend Rick “Wally” Wallace (see Grand Canyon UTV Run). On that trip I met Reid Nordin for the first time. We all shared a love for adventure riding in our UTVs and Wally was always the instigator. 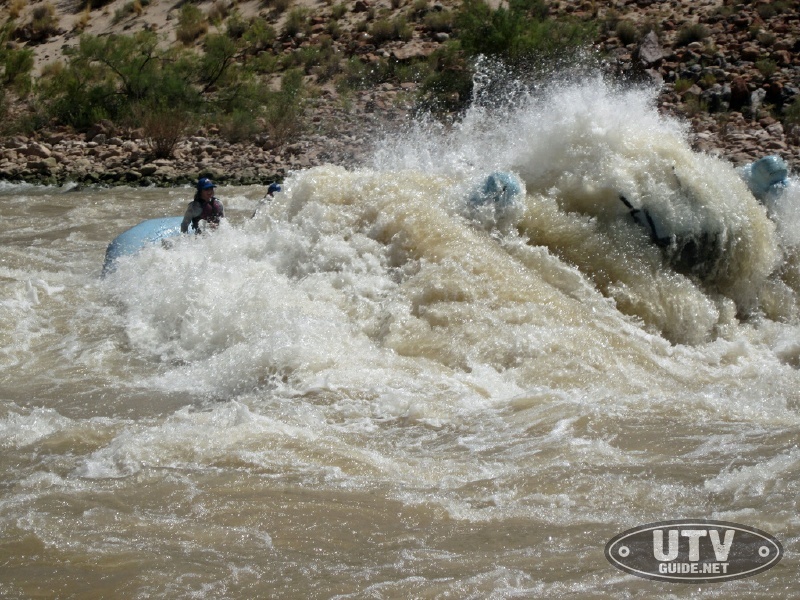 Whether it was a three-day ride from Calico to Laughlin to Primm and back, a night ride from Las Vegas to Johnson Valley, a trip from Mexicali to San Jose del Cabo or just exploring the awesome trails in Moab, many of us thrived on the adventures that Wally concocted. Unfortunately, Wally was diagnosed with cancer a few years back and passed away last year. We celebrated his life last year after Rally on the Rocks, and I think of him often when I am out on the trail. If you are on social media, you can search for #RideForWally and see that many others do as well. After our first trip with Wally, Reid and I became good friends and ride together as often as we can. He worked for Kawasaki for many years, and is now with Walker Evans Racing. 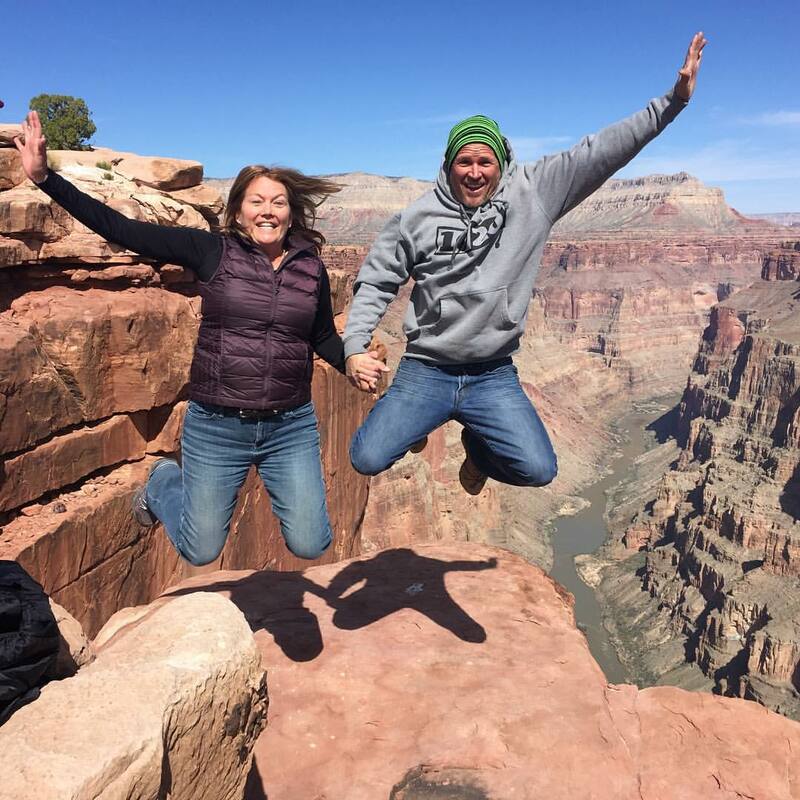 We had been talking about another trip to the Grand Canyon for a while, but with our busy schedules it was hard to pin anything down. Well that all changed when he planned to be in Las Vegas for the Mint 400 and I was going to be in Glamis for our annual Industry Ride. We decided to add a few days onto our trips and make it happen. I picked up my son at the Las Vegas airport, and Reid’s wife Jill drove the truck and RZR out to meet Reid in Las Vegas. On that first trip to the Grand Canyon, we camped in the national park at Toroweap in tents. We found the Bar 10 Ranch on that trip and Wally stayed there each time after when he brought friend into the Grand Canyon. On one trip that I was lucky enough to bring my son on, we drove off-road to the Bar 10 Ranch, then rafted down the Grand Canyon for 7 days. For this trip Reid and I wanted to stay at the Bar 10, but they weren’t open yet so we decided that we would rough it and camp at Toroweap just like that first time. We used the Casablanca in Mesquite as our starting point. I was using my RZR XP4 Turbo, and Reid was in the Walker Evans RZR XP Turbo. The XP4 chassis is perfect for overnight trips because you can remove the back seats and use that for extra storage space. Plus the extra wheelbase of the 4-seat chassis really handles the fast desert roads well with the extra load. I had recently installed a trusty Lowrance Baja 540c in my RZR XP4 Turbo and had done quite a bit of work on setting up waypoints to recreate Wally’s favorite path into Toroweap. The Baja 540c was a favorite of Wally’s so I think he was smiling as I prepared for the trip. Basically we would take Road 242 out of Mesquite and through Lime Kiln Canyon. At the intersection of Road 242, 101, 1041 and 1027, we continued straight onto Road 1027. At the intersection of Road 1027, Road 1033 and Road 1003, we took Road 1003 through Hidden Canyon. From there onto Road 1018 skirting the south side of Poverty Mountain and over to Mount Trumball School house. We stopped for lunch at the Mount Trumball Schoolhouse. The schoolhouse is located at the junction on road 5, road 1018, and road 1045, approximately 60 miles from St. George. 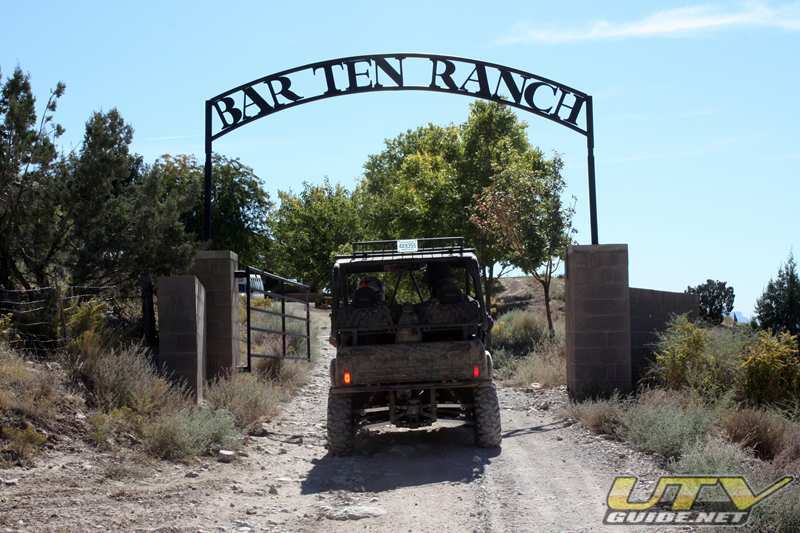 Road 1045 will take you to Bar 10 Ranch. Road 5 comes in from St. George and then continues east towards Mt. Trumball and Toroweap. From Mount Trumball School house, we took road 5 east through Mt. Trumball. At the end of road 5, we took a right and headed south on road 115. You enter Grand Canyon National Park at Tuweep. What we did not realize is camping is only allowed with advanced reservations. We hadn’t known that and could not find a park ranger anywhere. The park is open for day use as well, but closes with a locked gate 30 minutes after sunset. We decided to drive into Toroweap and figure things out from there. We reached the end of the trail at Toroweap, unloaded and walked to the edge of the Grand Canyon. At 3,000 vertical feet above the Colorado River, the sheer drop from Toroweap Overlook offers a dramatic view. The opportunity to enjoy an uncrowded, rustic, and remote experience is something Wally always loved. 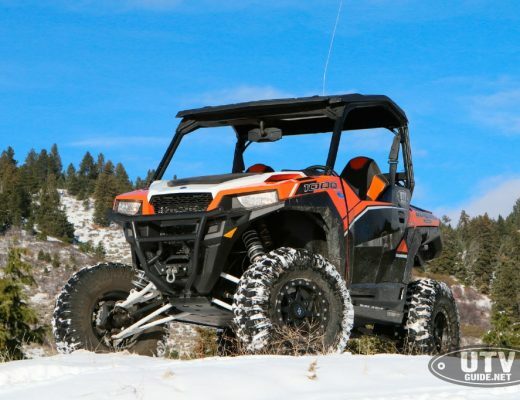 Plus the thrill of getting there after 100 miles in a UTV makes it more of an adventure. It was a great feeling to stand on the edge of the Grand Canyon once again and think about my friend Wally. What made it more special is to be there with my Son, Reid and Jill. After soaking in the view, we decided not to risk getting kicked out of the camp area without a permit. We packed up and headed back towards Mesquite. Once at Mt. Trumball Schoolhouse, we opted for a different route back. Reid and Jill led the way as we explored new roads on the way back. Reid had used Google Earth to explore the area and his pre-mapped route took us on some interesting “roads”. After a few that seemed a little sketchy, and with the sun getting low, we took over the lead and opted for Road 101 that eventually connected us back up to road 242. After more than 200 off-road miles, we were itching to finish up. I was running a little bit to fast and my rally car skills weren’t quite on point. Rounded a corner with too much speed and bailed right off the edge of the road. 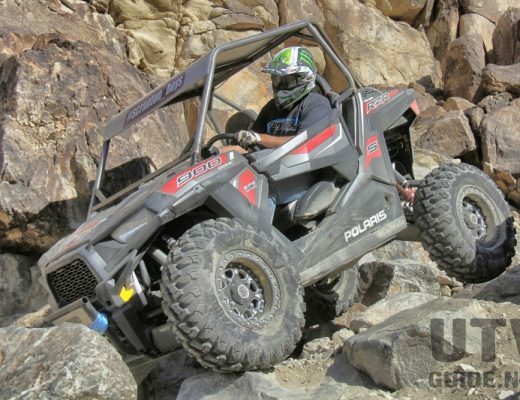 Thankfully there weren’t any big rocks or huge cliffs and the RZR XP4 soaked it up with no issue. Lesson learned though to slow down a bit towards the end of the day. Grand Canyon Parashant’s natural splendor provides a sense of solitude to those who venture into its isolated domain. Located on the edge of one of the most beautiful places on earth, the Grand Canyon, the Monument’s expansive landscape encompasses a chronicle of natural and cultural history. This Monument is co-managed by the National Park Service and the Bureau of Land Management. The Monument is located on the Colorado Plateau in northwestern Arizona. It borders Grand Canyon National Park to the south, Nevada to the west, and is bounded by the Bureau of Land Management Arizona Strip region on the east and north. There are no paved roads within the Monument. You can access the Monument, via dirt roads, from Nevada, Utah, and Arizona. Before venturing into the Monument, be sure you are well prepared to deal with the rough roads and isolated conditions. There is a great diversity of habitat types in the Grand Canyon-Parashant National Monument, from the 2000 ft elevation hot Mohave Desert creosote bush and Joshua trees, to the Great Basin pinyon-juniper and sagebrush, to the Colorado Plateau grasslands, shrubby red rock desert, and ponderosa pine, gambel oak, and aspen communities on the 8000 ft peaks. Roads in the Grand Canyon-Parashant National Monument are pretty well marked, but there are plenty of roads that are not shown on the NPS/BLM map. Be sure to get a good map of the area if you plan to do much exploring. 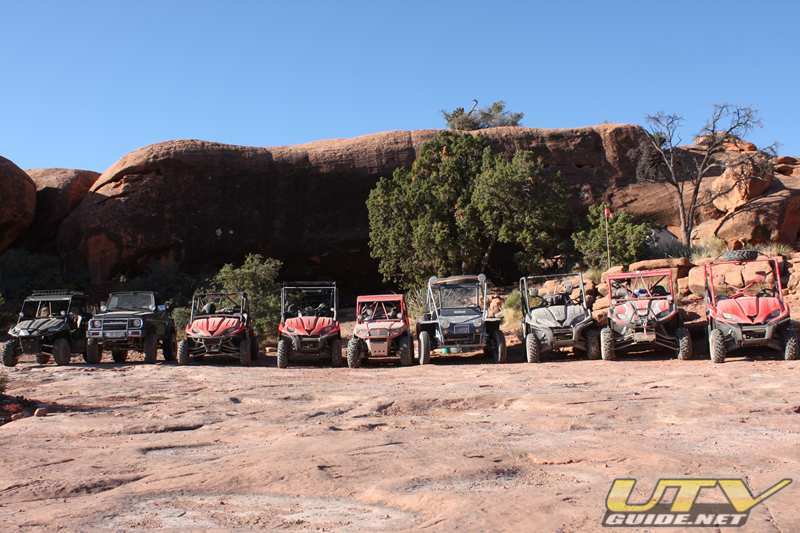 Your UTV will need to be street legal with proof of insurance to enter the Toroweap area of the Grand Canyon National Park and the Parashant National Monument. The most popular one begins at AZ 389, nine miles west of Fredonia; turn south 40 miles on County 109, then continue straight 7 miles on County 5, and then straight 14 miles on County 115. From Colorado City take County 5 for 44 miles, then continue straight 14 miles on County 115). From St. George – on a 90-mile dirt road (BLM Road 1069 and Country 5 for 76 miles, then right 14 miles on County 115). 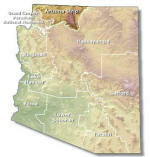 Travel Warning:Be aware that the Arizona Strip is a remote and undeveloped region. The zones along these routes have no services available. Make sure you have adequate fuel and lots of water before beginning your trip. Segments of the roads described here are winding, rough and rocky. Motorhomes and travel trailers are not recommended. A high-clearance vehicle is recommended. Four-wheel drive may sometimes be necessary. Motorized vehicles must remain on existing roads and trails. The roads are unpaved and in wet weather can become muddy and dangerous. We advise visitors to prepare for bad weather as the Strip is not patrolled on a regular basis. If your vehicle breaks down along some of these routes, you may be on your own for some time. Before starting out, tell someone where you are going and what time you expect to return. Road numbers have been posted at intersections and correspond to the BLM Arizona Strip Visitor’s Map, for sale at the office in St. George. Public lands throughout the area are open for camping. There is a fourteen-day maximum stay limit. BLM does not require fees or permits for backcountry camping and the State of Arizona requests that you do not camp within one-fourth mile of any watering device or reservoir. 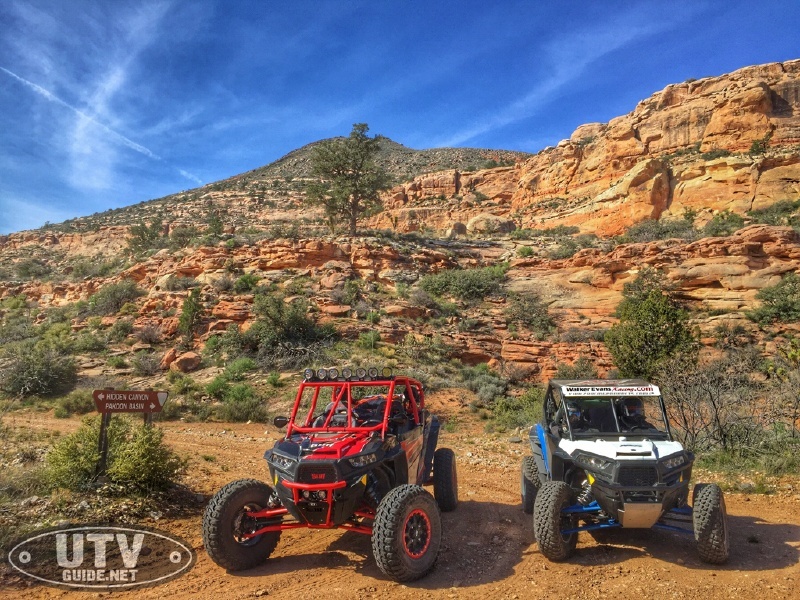 Your UTV will need to be street legal to enter the Toroweap area of the Grand Canyon National Park and most of the other roads in the Arizona Strip.